Lava International Limited has unveiled its sleek Lava E Tab Xtron Plus with superb jelly bean operating system and technological advancements in order to provide a nearly perfect product. Many of the features of Xtron and Xtron Plus are the same but due to some extra qualities, Xtron Plus is the better than one. The new device has Vedic math package making learning easy for the students. Although Lava Mobiles are not the most preferred ones in the market but with the commendable Lava E Tab Xtron Plus features, it has surely created a big space for itself in the industry. Lava E Tab Xtron Plus Price is very modest when we look at the multiple features provided by the company in this amazing tablet. When compared to tablets of Samsung and other international companies, it seems to be the most attractive offer for those who want maximum features with minimum cost. This marvel has been priced at Rs. 6,990 only. From the pictures you get a WOW feeling of the Lava E Tab XTRON Plus. 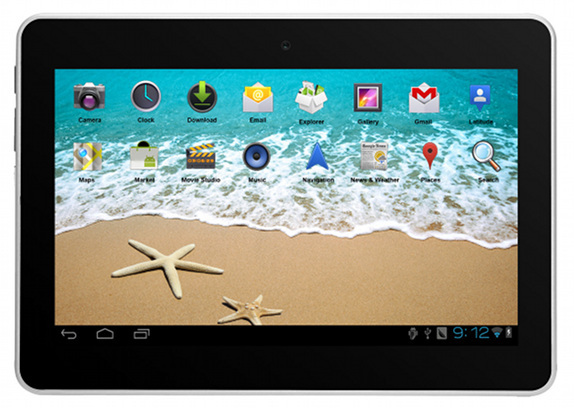 With its 7 inch display and 1024x600ppi resolution, it gives both pleasure and ease of operation to the user. The main motive of the company behind its launch was to increase its customer satisfaction by giving an upgraded version of its E - Tab Xtron Tablet. As a result, the new tablet was launched with latest Android v4.2.2 Jelly bean which amazed many and increased the market for Lava company. It consists of an improved 3700 mAh battery allowing 5 continuous hours of running time. It has an inbuilt memory of 8 GB which can be expanded up to 32 GB, giving enough storage space to the users for various multimedia applications. The tablet is featured with dual camera, 0.3 megapixel front and 2.0 megapixel rear along with a video clarity with full 1080p HD with HDMI v1.4, giving the users joy of big display. Featured with 1.5 GHz dual core processor and 1 GB RAM, it works with a high speed. The device provides internet connectivity through Wi-Fi. It has full aluminum shell body which provides strength. The handset is now available on stores and it can also be bought from popular websites on internet such as flipkart at a best buy price of Rs. 6,990 giving . For more information about latest upcoming and popular mobiles log on to www.pricedekho.com. LAva XOLO Q1000, is also good Smartphone from the House of Lava.